The traditional shape and accenting of Crafitsman style is perfectly achieved in the design of the Terrace Collection. 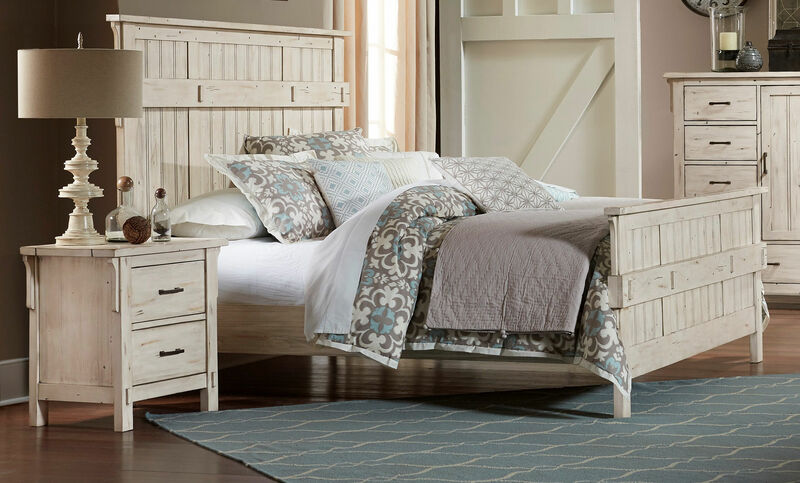 The bedroom group is offered in a rustic burnished oak or antique white finish that accentuates the natural characteristics of the solid poplar wood lends to the design, while antiqued bronze finished hardware adorns each case piece. Drawers and door storage provide ample storage space for your personal items.